One of the most difficult baby-product decisions for any parent is picking a stroller that will work best for you and your babies and little toddlers. It can be as complicated as shopping for a car, especially when you’re looking for a stroller to seat three little ones. There’s so much to consider from safety, style, maneuverability, durability and all round practicality, to the simple act of seeing around (and sometimes over) it, as you use it every day. So, where do you start on your journey to get the right stroller? We’ve put together a list of some of the best-selling baby strollers around the world to help you narrow the field. One way or another, these options should solve all your needs because they are the best of the best, so you won’t be making a bad choice from this list. Take time to look at the all features and the options of each triple stroller below; each has advantages and disadvantages. In doing so, and making careful comparison, you will soon work out which stroller characteristic will be the most important for you and your family. This is a very robust and solid stroller with three seats. It’s got a very smart compact wheel base with lots of stability. It’s perhaps the coolest design in this specialist area with two bottom seats facing out and one/two full-sized inclinable toddler seats facing the parent. Its “double decker” format and lockable wheel mechanism means its maneuverability and practicality is exceptional (think pavements, doorways, lifts, shops etc. ), and it’s quite a head turner for sure. All three/four seats can be used independently for newborns to toddlers. 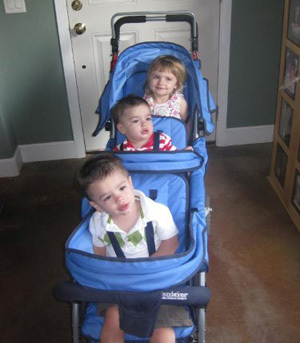 This is a great classic triple stroller solution with a cool design. Although they are sold all around the world, its distribution remains, for the time being, based in Australia. The Peg Perego Triplette SW Stroller is a long stroller where you’ve got three little ones all sitting in a row facing either you or where you’re headed. It allows you to switch up seats in multiple configurations and they can lay all the way flat so you’re good for infants as they grow up to 45 lbs. 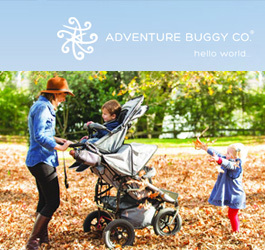 It’s bulky and a little pricey, but it’s a very solid stroller that customers rave about. 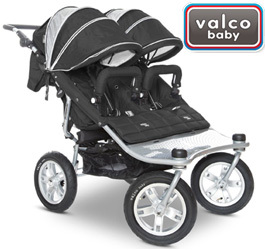 It steers like a car, and that alone is worth taking a peek..
Valco has developed two Tri Mode Twin stroller models, the SE and the EX, that are good for three and are among some of the most comfortable items on the list (You’ll need a “joey” seat or Husssh bassinet for it to support three). 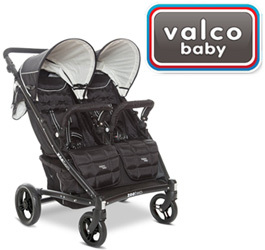 They’re great jogging strollers in the mid-range weight and it’ll fit through any standard door. If you want support for multiple car seats, these models will grow with you while they’re young. If you’ll soon be switching to just two in the stroller, you may have some lighter options available. This is a light-weight stroller model that’s good for walking around the neighborhood, but doesn’t work well on rough terrain. You’ll need a joey seat for it to support three, and that adds around $100 to its total cost. It doesn’t’ stand up to a lot of wear, but it supports many car seats so it’ll be a good stroller for errands and quick walks. 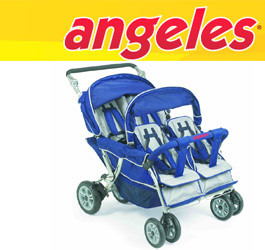 It’s a great fit for three and will still be very useful if you move down to just two strolling while one walks. If you need room for four, or three with extra sit for storage, this model can be ideal. It’s great if you’re in a hilly area because the brakes are very strong and easy to engage. This model from Foundations is very sturdy and stable. It’s a little heavy but not the heaviest you’ll come across. This will fit through just about any door you meet, so it will work well if it fits inside your car. The price and storage also work well in its favor. 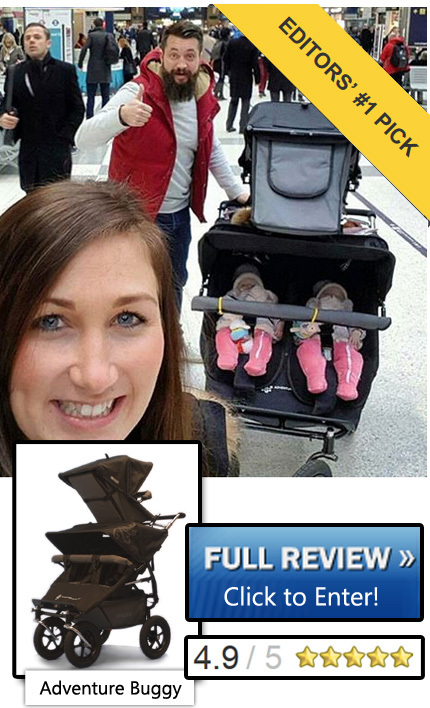 This stroller is great if you have four children who aren’t infants. Everyone faces the same direction in two rows and it can stop on a dime. It’s wide but you’ll get through most doors and has a lot of storage at a low price. The downside is that it’s heavy and bulky. If you’re pushing around a big set of kids, however, this is a top-notch choice for you. This is the newest model on our list and so not a lot of customers have provided their feedback. At first glance it looks like a great stroller with good turning and a very strong frame. One of the nicest features is its stadium seating , though tall kids may have an issue with the canopy height. It’s not for taking trips in town or the car, but it’s good for stretching your legs. This is a top-notch stroller for child care services and the only downside is its weight. 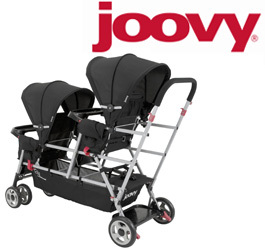 Joovy is a giant stroller great for families with three small children and a tight budget. It can fit two car seats and supports most models on the market, so it’s a really great stroller for going about your day because it also gets through most doors. This stroller is good for moms and dads who don’t mind pushing around its weight and have checked that its folded measurements will fit in their car. Unfortunately, it’s third seat is uncomfortable for those who need to fidget. 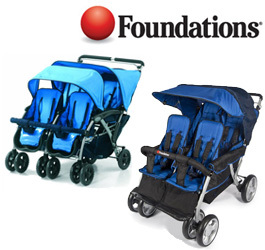 The Foundations Trio Triple Tandem Stroller allows everyone to sit in tandem, facing the parent with great coverage from the sun, but it isn’t fit for infants. 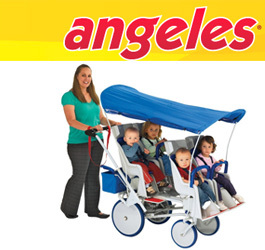 This stroller has a great braking system, is easy to fold and offers a large canopy. Unfortunately, models being shipping in 2014 seem to have craftsmanship issues – which the company may resolve – so there are problems with its wheels and fabric fraying. A lack of accessories and built-in options, like trays or cup holders, make this a decent choice. This model from BeBeLove USA is one of the newest models on the list. 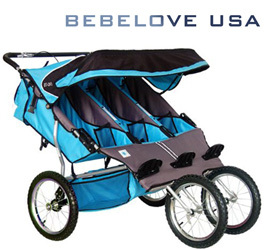 It’s a great stroller for jogging and strenuous activity. It doesn’t do so well with hard ware-and-tear, but users love the style and look. BeBeLove is pushing its leasing options so you may be able to try this one out before you buy it. 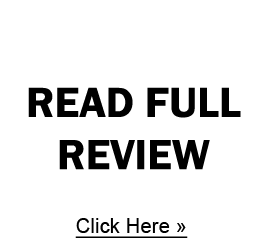 It’s expensive and the company itself doesn’t have a good rapport with customers, so you’ll want this model if style is a chief factor for you. I am looking for something like the snap and go where you can snap the carseats on for infant triplets and have not had any luck. I am following this in case someone else has an answer. You can snap car seats onto the peg perego triplette frame. You can purchase the frame alone. 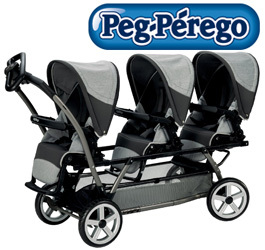 We recently bought the Peg Perego triplette from another triplet Mom. It does have an option to snap in the car seats (infant) and can buy larger seats as they grow. However, it is very hard to turn. Also, we may even see if she can find another buyer, because we are having a hard time finding a vehicle it will fit into! It is so long, it hasn’t fit into the trunk of any of the vans we have test-driven and we can’t afford a $80,000 Suburban. The lady we got it from only had the triplets, so she was able to put down her third-row seat and shove it in sideways, but we also have a two year old and we need the third row. Very frustrating! I am having a hard time finding any other model that has the snap-in seating also. Graco used to make one, but I guess they don’t anymore. Good luck! I have a 2year old and am expexting twins in April. I know my 2year old wont want to walk ir stand all the time so think i need a pram that can take 3. We have a 4 wd so decent boot size but not long. 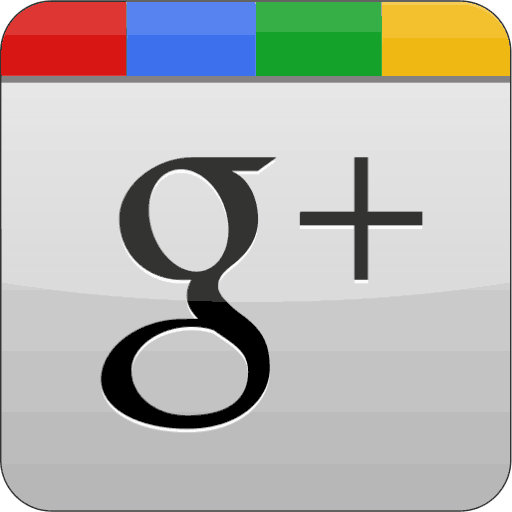 Recomendations? I have a 9 month old and I am expecting twins in june. What’s the best stroller that can hold two carriers? Can you use any car seat with the peg pergo stroller or does it have to be one of their cat seats? 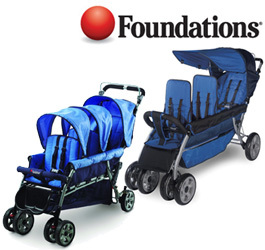 6 Passenger Strollers – For Larger Families! BestTripleStrollers.com © 2013-2019 All rights reserved.